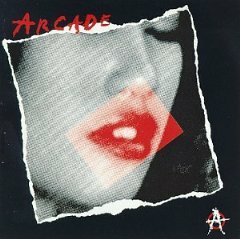 In recent days, the 1993 debut and self titled album from Arcade found it’s way into my ears. 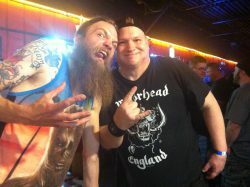 (Thank you Best Metal Buddy Scott). Epic Records released this Arcade debut. You all should be quite familiar with Arcade’s front man Stephen Pearcy… lead singer for RATT and very much a prominent, memorable and flamboyant Hair Metal figure from the 1980’s. Fred Coury, the drummer for still another iconic 1980’s Hair Metal juggernaut – Cinderella, found that one of his Heavy Metal path’s led to Arcade as well. Hair Metal and Glam Metal aside, Arcade was just damn good Heavy Metal – period. In my Metal opinion, if Arcade was to have been assembled around 1985, (instead of the gray lined early ’90’s), they would have had their likenesses adorning highway billboards – all over North America. O.k., that might be of a Metal stretch, nonetheless, Arcade would easily have been bigger and more widely received during an earlier era. Revisiting Heavy Metal Bands from the past that are no longer together, makes for the credibility of just where Heavy Metal is today… these are the bands and musicians that kept the Metal flame burning during a ’90’s decade of Heavy Metal uncertainty. I was never uncertain about my beloved Heavy Metal during the ’90’s… and by the sounds of it, neither was Stephen Pearcy and Arcade. What this debut album from Arcade shows me, is that Stephen Pearcy acknowledged within himself, that he had all the Metal ingredients and creativity to be a star outside of RATT. And certainly, I would hope the majority of us Metalheads know that RATT was no fluke, their heavy legacy still reigns to this very day. For Stephen Pearcy to be the lead vocalist for two bands of this quality and caliber is not an everyday accomplishment. Essentially, the same can be Metal said for Fred Coury respecively, on drums. Guitarists Donny Syracuse and Frankie Wilsex add credence to Arcade’s own Heavy Metal identity. 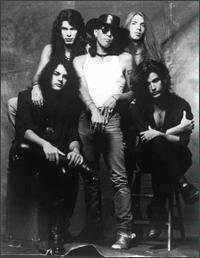 The only reminder of RATT within the sound of Arcade is Stephen Pearcy’s vocals and he CANNOT be faulted for that. It sounds very clear to me, that Stephen Pearcy and his Heavy Metal posse called Arcade, knew all along, just how to create and write a ballad. Cry No More, Mother Blues and So Good… So Bad… are extremely tolerable ballads to listen to. I can actually listen to these three ballads repeatedly! (Now, listening to any ballad repeatedly is a rarity in my Metal world). Arcade actually found that semi sappy to sappy lyrics don’t need to be coupled with excessively sappy music, that brings you to the brink of an emotional meltdown. I will admit, Cry No More has an acoustic guitar intro that carries on a very reminiscent tone and mood from Cinderella’s classic Power Ballad – Nobody’s Fool. Mother Blues is an unplugged/acoustic listen in Rock goodness, it really is. Sons And Daughters is the lone instrumental on Arcade. An acoustic instrumental that lends itself as the perfect segue to Mother Blues. Arcade is one of those albums where it is obviously nonsensical to breakdown each song as a review. Those who have listened and liked this album may understand my point. Outside of the three ballads and one instrumental previously mentioned, the other eight songs are undisputed Rockers. If you are looking to revisit these songs or give them a first time listen, understand that the hard and heavy from Arcade doesn’t give me a moments break… and I like that! I try to steer away from pinpointing what exact genre Arcade belongs to… at the end of the Metal day does it really matter? Arcade is Hard Rock colliding with Heavy Metal, whatever one’s interpretation that differs from mine is a matter of personal Metal labeling. From the onset, Dancin’ With The Angels is fair warning that Stephen Pearcy and Arcade are NOT about re-treading RATT. Messed Up World is my favorite song from Arcade. The lyrics of Messed Up World could not resonate any more loud and true for me. Relevance? This song is exploding at the Metal seams with it. Messed Up World could have easily been written for today’s nightly news features. Arcade… they came, they saw, they Metal conquered. * Metal Odyssey’s Metal research has found there is an additional song on the Japanese version of Arcade – Reckless. No, I have never heard this song… yet. * To the best of Metal Odyssey’s Metal knowledge, Arcade’s debut album – Arcade is out of print. Used copies are circulating for sale all around the world wide web. (I’ve seen used copies on Amazon Music). Ferocity: the quality or state of being ferocious. That is what I hear each time I crank up Painkiller from Metal legends – Judas Priest. Painkiller was released on September 3, 1990, on Columbia Records. Yes, the 1990’s was ushered in with quite a Metal explosion with this album. Consider that it was 1990, twenty years ago when this amazing Metal album was first released. My Metal point is this: if Painkiller was to have been released today, there is more relevance in it’s Metal in 2010 than ever before, encapsulating everything that is fast, heavy and hard about Metal Music. Honestly, if Painkiller was released in 2010, it would be an enormous candidate for my #1 Heavy Metal album of the year. However, the reality is that Painkiller is an album from the Metal past, only it seems to still have more of an impact on me than I could ever imagine. This was the 12th studio album from Judas Priest, (if you are to consider the 1978 U.K. release of Killing Machine, basically the same album as Hell Bent For Leather, only it is minus The Green Manalishi (With The Two-Pronged Crown). I am not reluctant to state, that this Judas Priest album is arguably the heaviest and fastest album in their catalog. Despite my abhorring the Grammy’s, Judas Priest was nominated for best Metal Performance in 1991 due to Painkiller. The two songs on Painkiller that standout for me, which are easily two songs I can listen to every day of my life, repeatedly, are: Painkiller and A Touch Of Evil. My inner Metal struggle as of late, is knowing that A Touch Of Evil is my single most favorite, Heavy Metal song of my entire Metalhead life. Why is that an inner Metal struggle for me, you ponder? Well, due to the fact that I simply cannot believe I actually know this is the song! Plus, it did not dawn on me until recently… maybe sometime before the holidays of 2009. I will tell you this though… it is a really cool Metal feeling when it hits you and the realization kicks in, that you finally know that this is THE song. Could A Touch Of Evil ever be replaced by another Metal song as my lifetime favorite? Maybe. I’ll know when it hits me. One thing is guaranteed though… it would NEVER be a Daughtry song. The song Painkiller is for all Metal intents and purposes… Thrash Metal. I applaud the fact that Judas Priest showed the world that yes… Thrash Metal is in their forte. All ten songs on Painkiller are immense, there is no weak link to be found. The re-release of Painkiller has two bonus tracks: Living Bad Dreams and Leather Rebel (Live). Both of these songs are great for me, still, I don’t see how a “live” bonus track ever fits into a studio album to begin with. Fight was one incredible Metal band!! Recently, the 2009 release – The End Of Tomorrow from Ravage, paid tribute to this Painkiller album and Judas Priest by having in it’s track listing… the cover of Night Crawler. Ravage did a fabulous Metal job at covering Night Crawler too. In 1990’s retrospect, yes, I would without hesitation, point right at Painkiller as being a top ten Heavy Metal album of that decade. 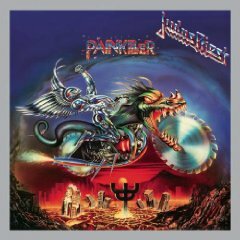 Those of you who do own Painkiller hopefully understand my excitement over it… those of you who do not own Painkiller just yet, well, you are missing out on one damn incredible Judas Priest album for sure, in my Metal opinion. Painkiller was produced by Judas Priest and Chris Tsangarides. Mike Vescera was also the lead vocalist for Yngwie Malmsteen, from 1994 to 1995. Recently, while discussing Heavy Metal with my buddy Scott, (usually a daily experience), we went from talking about Loudness and Mike Vescera to Obsession to Yngwie Malmsteen… realizing that yes, they are all absolutely Metal connected. Heavy Metal is a closely linked world… one big Metal family tree, it often times seems. Where was I? I unintentionally went Metal astray while explaining the Mike Vescera Metal affiliations… oh yeah… the third part of this Loudness album! That being there are songs that are straight up Heavy Metal – Deadly Player, Take It Or Leave It and Girl are just the way I like ’em, real hard and heavy. 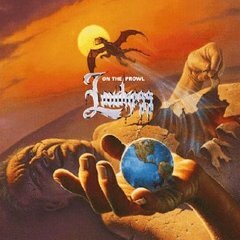 The last song, Find A Way, is a muscular and melodic ending to an overall very strong Heavy Metal album from Loudness. I must add that the musicianship of Loudness on this album is excellent. Akira Takasaki is a welcomed Metal listen on lead guitar, coupled with the sensational vocals of Mike Vescera and On The Prowl is an early 1990’s Heavy Metal standout. Don’t hesitate to get ahold of On The Prowl, the Heavy Metal that Loudness unleashes with these songs are worth owning. Add the Metal fact, that the relevance these songs carry into 2010 is quite irrefutable as well. Slaughter – Stick It To Ya is an album that has really stuck to me lately. I have been listening to Stick It To Ya each day this past week, these songs on this album just seem to have hit me the right way. Released in 1990, Stick It To Ya has at least four songs that were played quite steadily on FM radio back in the very early 90’s. Up All Night, Spend My Life, Fly To The Angels and Mad About You were the hits, if you will. I have always liked this band for certain, the vocals of Mark Slaughter and the straight up Heavy Metal sound of Slaughter never fails to put me in a cool mood. Labeling Slaughter as a Glam/Hair Metal Band just does not jive with me, their brand of Rock will always be Heavy Metal, in my Metal opinion. I saw Slaughter live back around 1990 or so, they were opening up for Poison. The other opening act that night was BulletBoys. Slaughter did an all acoustic set that evening… I was disappointed that they were not going to let it all Rock out, frankly I was stunned. Despite my initial feelings with Slaughter doing the acoustic versions of their songs, it turned out to be quite cool after all. I was able to see a different look of Slaughter that night, this band showed me they were damn good musicians. This concert took place at Lake Compounce Amusement Park, in Bristol, Connecticut. I have owned for some time, the CD – The Best Of by Slaughter, the ten songs on this disc are great, only Fly To The Angels and Spend My Life are missing from the song selection. Not cool. So, I promised myself to add the real Slaughter albums to my CD collection over time, starting with Stick It To Ya. About one week ago, I found the used copy of Stick It To Ya at my local f.y.e., the astounding Metal price of $4.49 is all it took for me to claim this CD as my own. Man, I cannot get enough of this album… every single song too. Going back to 1990 for just a Metal second… Spend My Life was a song that reminded me of my girlfriend I was going steady with back then, it still does remind me of her for she is my incredible wife for the past fifteen years now. My wife, (girlfriend was her title back in 1990), gave me unconditional love and support when I needed it most back in the early 90’s. (Believe me, she still does). Spend My Life could not have been released at a better time than 1990, this song means a ton to me. I just spoke about Stick It To Ya today, in a conversation with my best buddy Scott, (he digs Slaughter too)… telling him that I could not believe it has been 20 years since this album was released, (give or take a few months). He understood where I was coming from. I told Scott, it seems like it was just a couple of years ago, when Slaughter made their move onto the Heavy Metal scene. This is what happens as you get older I guess, albums and bands you really dig don’t age, they only get better with time and are there for you at the push of the play button. I will be pushing that play button for Slaughter and Stick It To Ya for a very long time to come. * Stick It To Ya has gone double platinum, selling over 2 million albums – very cool. * Stick It To Ya was nominated for best Heavy Metal album of the year, by the 1991 edition of the American Music Awards. * Stick It To Ya was released on January 27, 1990, on Chrysalis Records. Hey, I have always been eager to get into new Heavy Metal bands, it’s been this way for decades now. 1992 was no different than any other year, as far as searching out the latest and/or newest Heavy Metal Bands and albums. When I first heard Jackyl back in 1992, well, it was the song “The Lumberjack”… with a chainsaw being used for a solo. A chainsaw used as a dominant musical instrument… in a Heavy Metal song, now that is cool, that is Metal. Aw heck, I am going to be blunt and admit… this chainsaw ripping through “The Lumberjack” song gave me goose bumps back in 1992. Now, does this chainsaw and “The Lumberjack” song have the same goose bump affect on me today? Honestly, not as many goose bumps generate when I listen to this song in 2009, still I like the song just as much as ever. Maybe it is due to the fact, that I know the chainsaw is coming, after listening to this song so many times over the years. Make no mistake, “The Lumberjack” song still pumps me up and makes me wish I had an old, decrepit, decaying barn to tear down while I listen to this song. This debut album from Jackyl, which is self titled, was a refreshing reminder back in 1992 that Heavy Metal did not curl up into a ball and wither away. Jackyl’s brand of Heavy Metal arrived right when this Metalhead needed it most, when rumors abounded within the mainstream media that Metal Music was done. Well, Heavy Metal never went away, if anything, the mainstream media just did not cover the Metal Music that was out there in the 1990’s, no publicity, therefore… no existence. Right? Wrong! Jackyl was a perfect example of Heavy Metal existing in the decade of the ’90’s. Other than the chainsaw, Jackyl did not reinvent the Metal wheel back in 1992, rather they delivered upon the Metal community an album that kicked some serious tail. “Jackyl” was an album that presented some heavy hitting, kick the dirt and throw the garbage can down the driveway – attitude and songs. Back in 1995, I worked for a very large, mail order, perennial farm in expensive Connecticut. I can remember working the perennial fields during the Summer, driving a tractor, during a very, very, long dry spell. I recall this one cool, fellow Metalhead who drove a tractor on this farm as well… he and I both so wished it would rain. I introduced him to this Jackyl debut album, (I had it on cassette then), “When Will It Rain” became a theme song for us working the fields at this perennial farm. My Metalhead buddy borrowed my Jackyl cassette to listen to, while he worked the fields with his tractor. (There is definitely something about Jackyl’s Heavy Metal and working outdoors… one seems to compliment the other). “Down On Me” is another very memorable song from “Jackyl”, nothing fancy here, just a steady, Heavy Metal track, that is carried by the rhythm section with authority. “Dirty Little Mind” is like a speeding, Metal ball of wire, uncoiling with spastic Heavy Metal abandon. In other words, “Jackyl” was never going to indulge in therapeutic topics, nor delve into intricate musical musings. Instead, “Jackyl” was – and still is, a down home, blue collar, back roads, type of Heavy Metal album and band. “Jackyl” was never meant to impress the judges, mainstream media, or uptight people in general. Jackyl the band and “Jackyl” the album, no doubt impressed me in 1992… still does. I think that is why I appreciate this debut album from Jackyl so much, this band wrote songs to have a good time to and maybe heave that rotted log into the woods to. Jackyl, as they appeared on their debut album “Jackyl”: Jesse James Dupree on vocals & chainsaw, Jimmy Stiff on guitar, Jeff Worley on guitar, Tom Bettini on bass guitar and Chris Worley on drums.